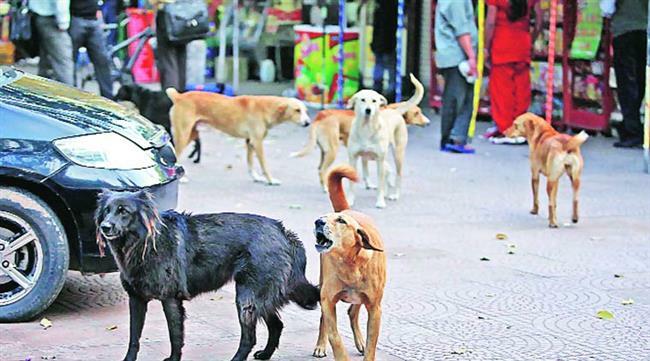 Chandigarh: Street dogs/stray dogs would have good days soon in Chandigarh as new law is being enacted to allow to keep four dogs per house but two of them should be from street dogs. It will be mandatory for a person to get the adopted stray dogs registered with the municipal corporation. But fee will be nominal. MC currently charges Rs 500 as registration fee for a pet, however, in case of a stray dog, the fee will be only Rs 1. The amendment in this regrd would come in the next meeting of the Municipal Corporation's General house next month. Curently, Chandigarh Registration of Pet Dogs Bylaws-2010 permits omly two pet dogs for each house. As per the agenda, the two additional pets should be community dogs, defined as non-breed stray animals in the agenda. Dr MS Kamboj, who heads the MC’s animal birth control programme, said the move is aimed at encouraging adoption of stray dogs. “This is an alternative strategy to tackle the menace of stray dogs. This will surely help the animals get a better deal, besides bringing down their number,” he said. He said once the agenda is approved, people are free to adopt two stray dogs in addition to two others of the breed. The number of registered pets has gone up to 8,000 ever since the MC hiked the penalty. Dog registration is done at the medical heath office in Sector 17, near the DC office. A form is available at the office of the medical officer (health) in Sector 17, near the DC’s office. An attestation by a veterinary doctor that the pet is vaccinated is to be attached. The owner also has to sign an undertaking that he/she will take care of the dog. The applicant is issued a token with a unique number for the pet.